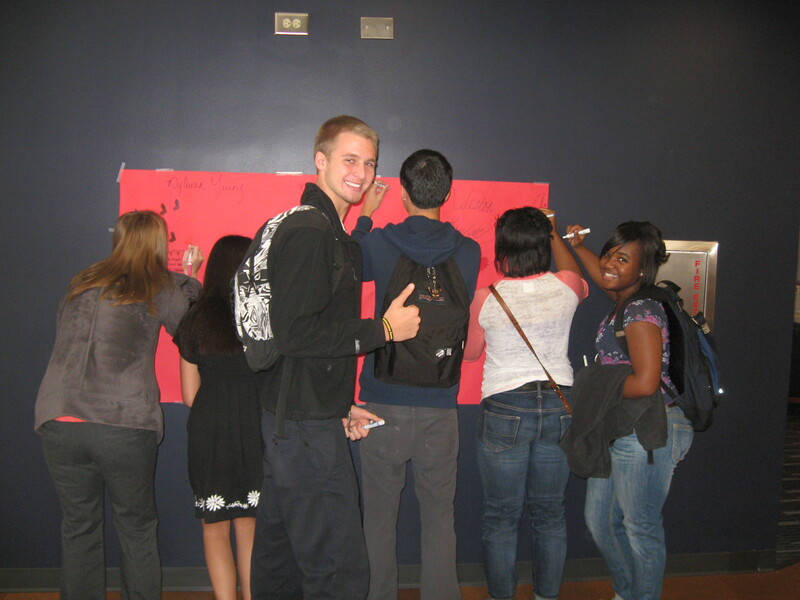 Students draw on the wall here in the Loquacious Library! 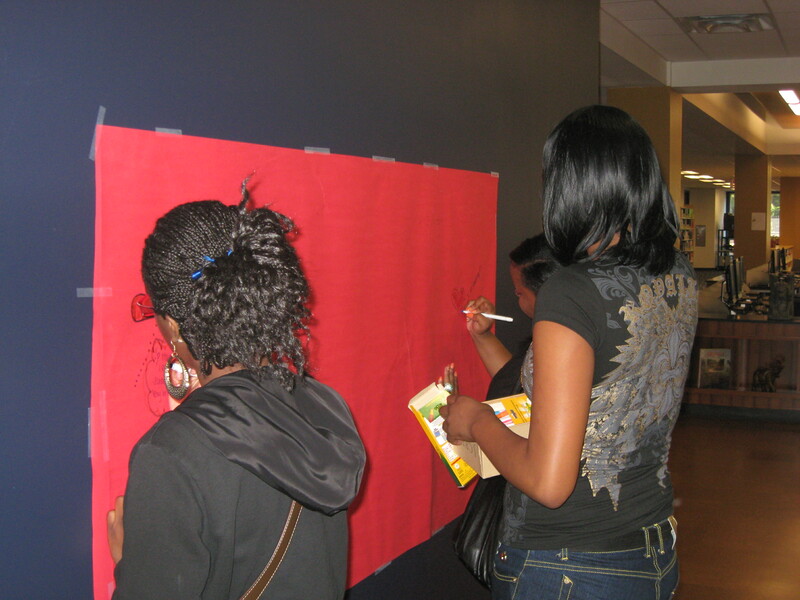 Since the theme for Teen Read Week is “Picture It @ Your Library”, we taped up a large sheet of bulletin board paper on the wall near the front of the media center. Show us your creativity and do some drawing. Don’t forget to say the secret phrase (Picture It) this week to win a small prize! ← Your Experiment – In Space!